Certified compostable products are tested with globally recognized industrial test methods. Compostable product testing provides additional assurance of the quality of a manufacturer’s product and its compostability in commercial compost facilities. In competitive markets, assuring the end-customer of the quality of the product through certified test results not only adds value, it also substantiates any performance claims based on the compostability of the product. As the new frontier of compostable products continues to hit the market, being a part of the current trends and understanding issues that arise from compostable products will give manufacturers a competitive edge in the market. In order to gain the competitive edge and market acceptance, compostable products must have the scientific support from product testing; particularly, showing that the product will compost in commercial or pilot-scale composting conditions. Solid aerobic biodegradation and disintegration of plastic materials under controlled composting conditions is generally the accepted form of testing to make product performance claims. However, it is highly recommended that customers check with their respective regulatory agency to determine which biodegradation test is required to make performance claims about their product’s biodegradability and compostability. 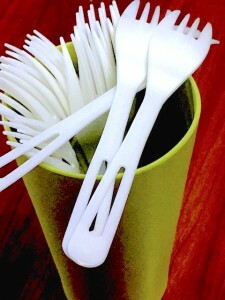 Meeting the requirements of compostable test methods are increasingly required for market acceptance. The challenge for manufacturers is meeting the requirements of these methods and having the product perform as intended batch after batch, year to year for the entire production run. Certification programs are based on a simple concept: if the product is consistent, batch to batch, then the results should likewise be the same. Verifying these results is as simple - as long as the product's formulation, manufacturing process or input materials stay the same, Situ Biosciences can provide certified compostable results in as few as 2 standard compostable tests. Testing and certification are run in-house and manufacturers can discuss their product directly with the same lab that is testing it. The certificate is included with testing and there are no additional administrative and licensing fees. For more information about certified compostable product testing at Situ Biosciences contact us at 847-483-9950 or info@situtest.com.